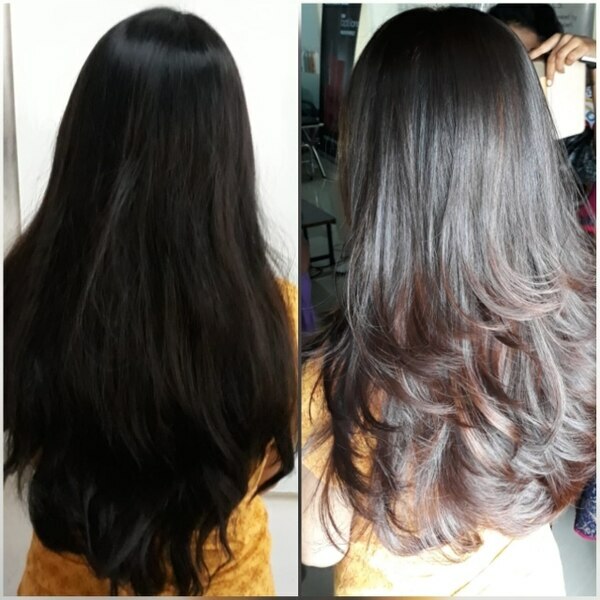 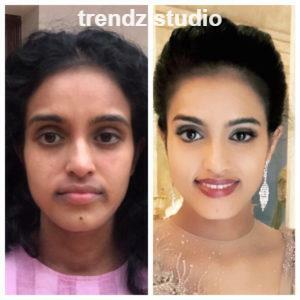 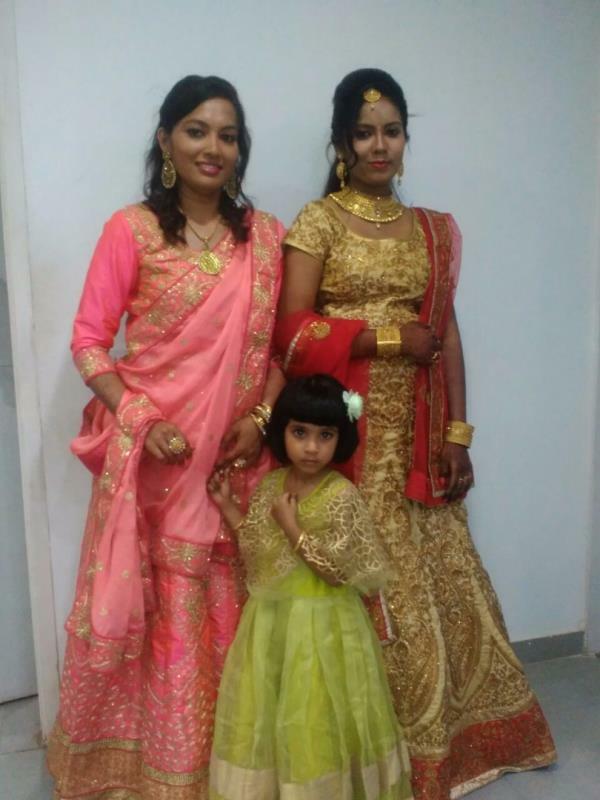 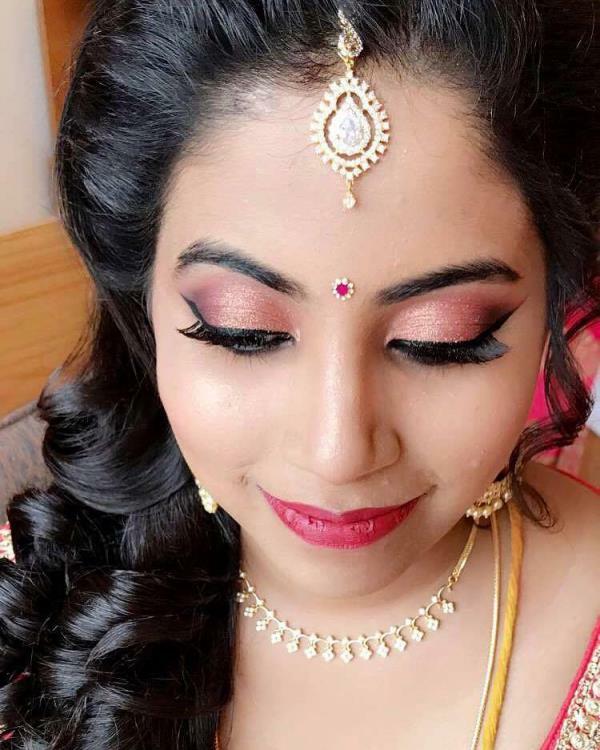 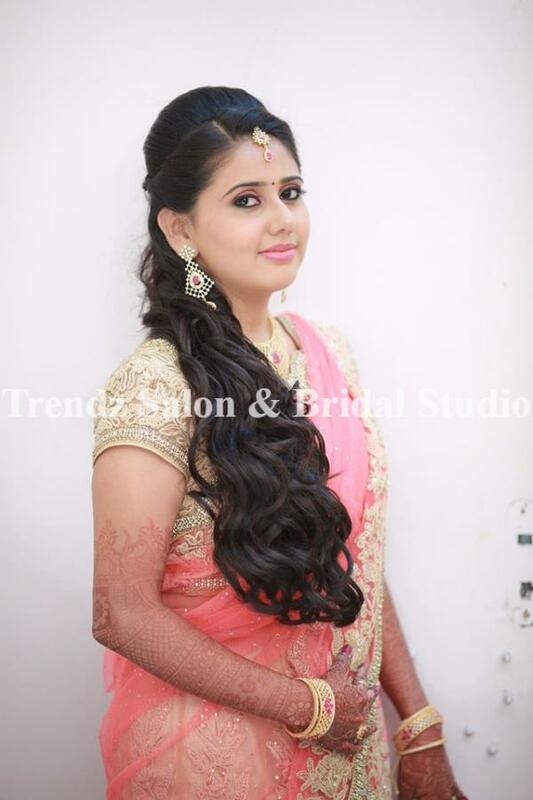 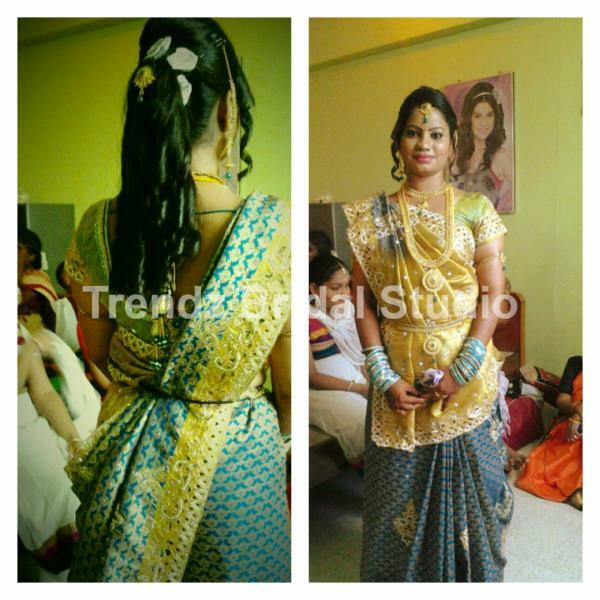 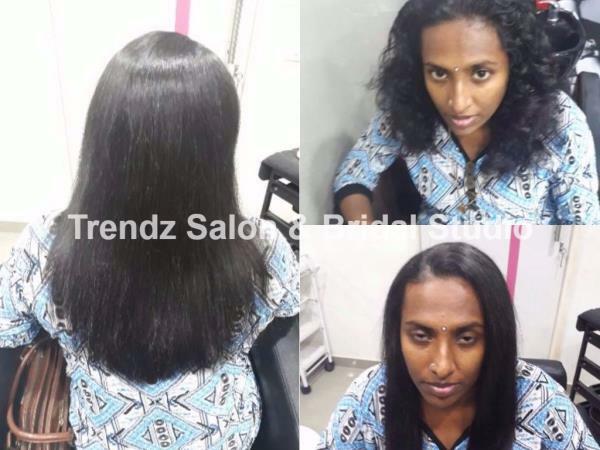 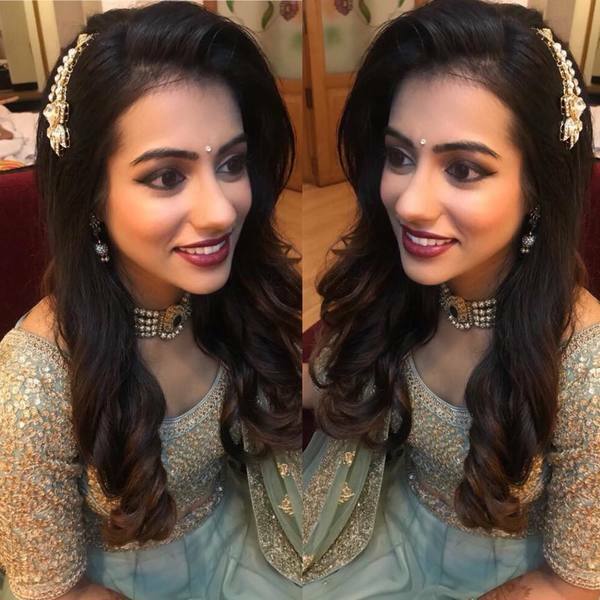 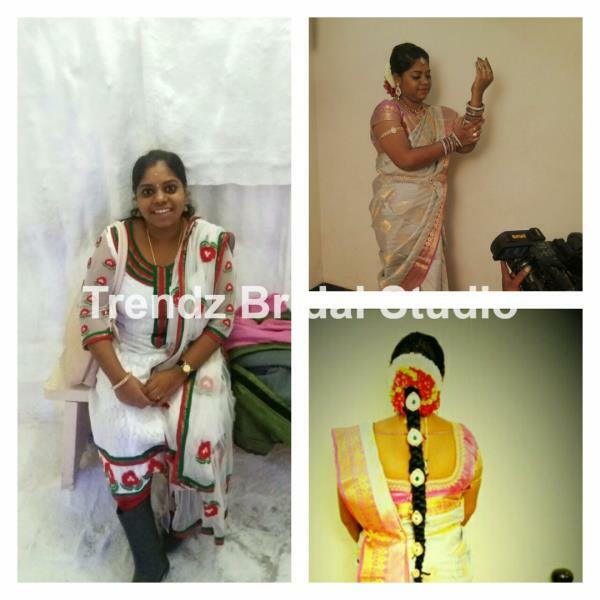 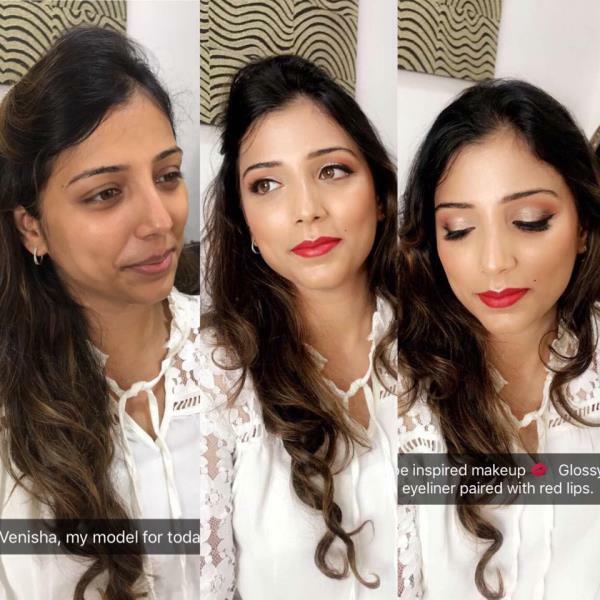 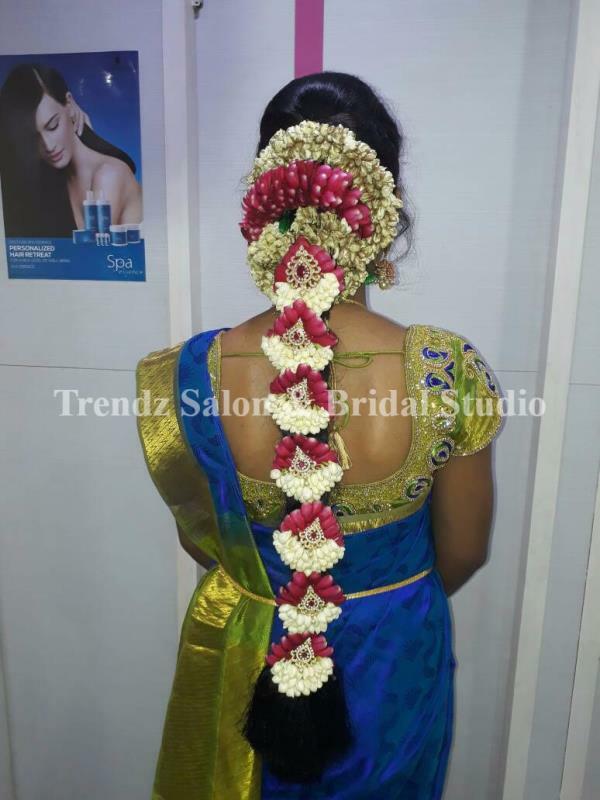 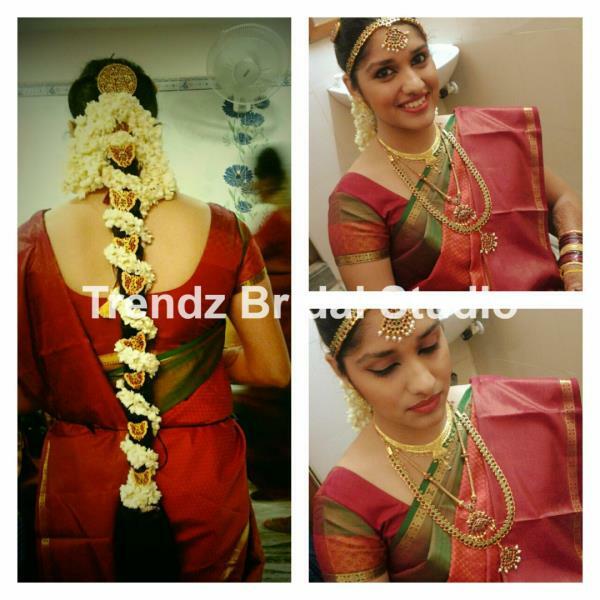 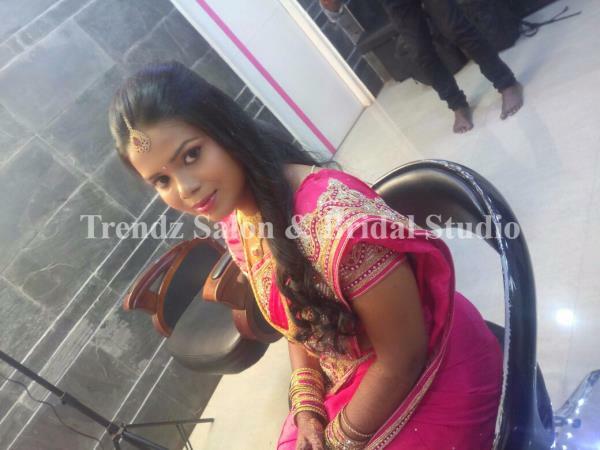 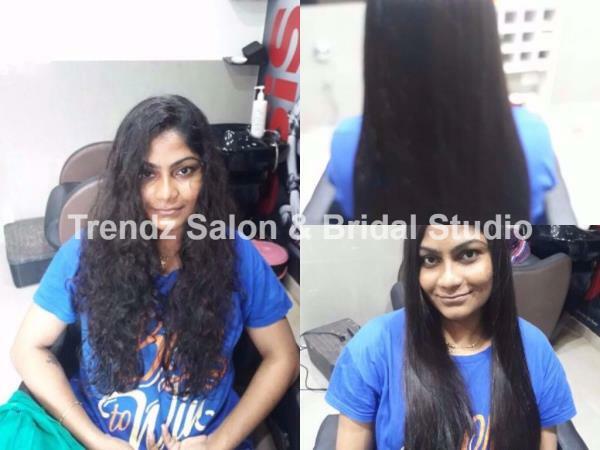 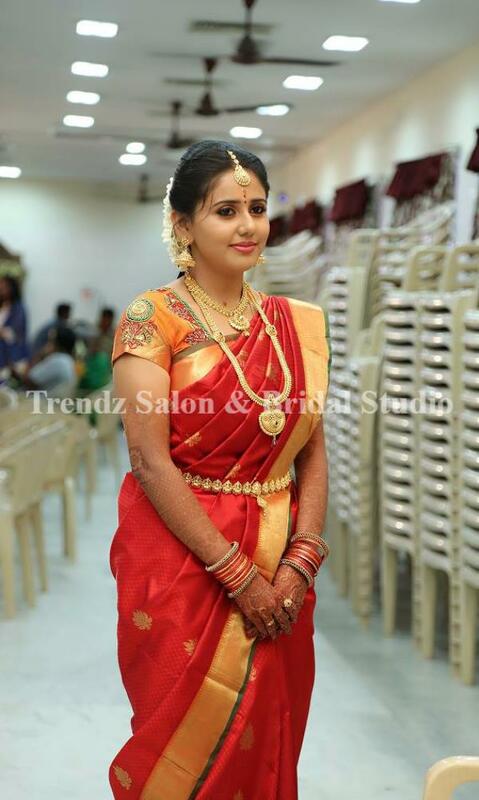 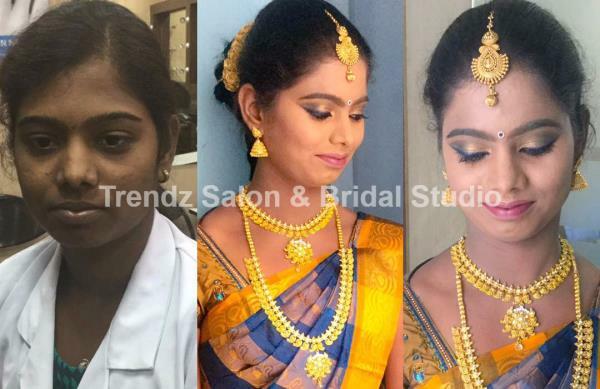 TRENDZ WOMEN HAIR | BEAUTY SALON & BRIDAL STUDIO - 08033751309 in Chennai ,We offer Bridal Makeup services, Wedding Countdown Bridal beauty services, best of the class Hair Care, Skin Care, Hand & Feet Care, SPA and Nail Art. 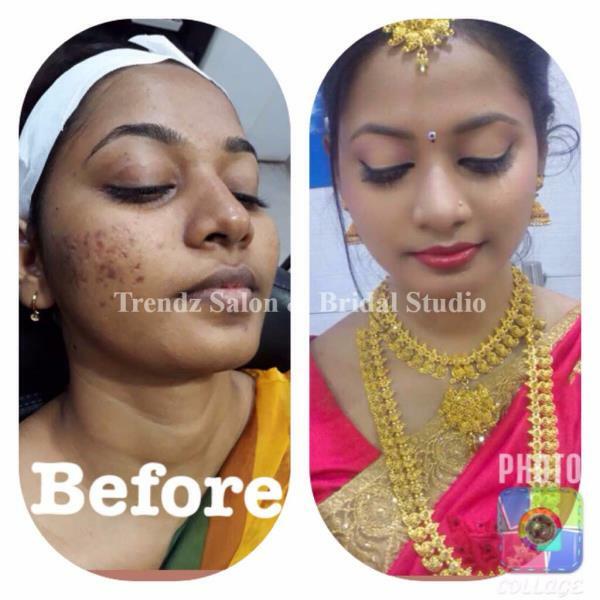 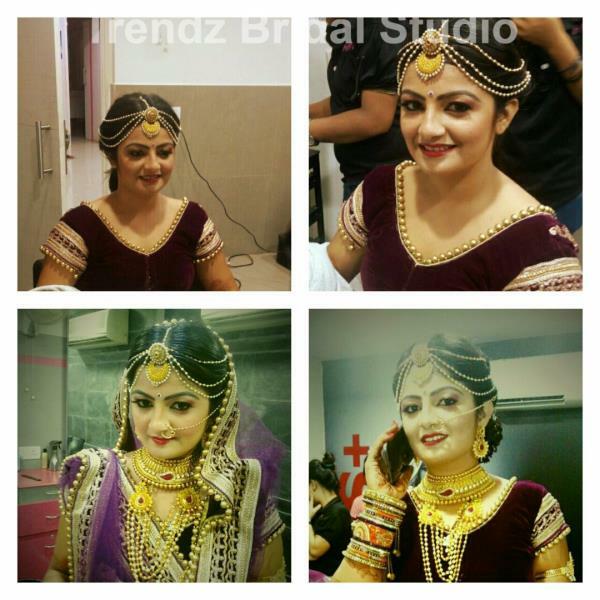 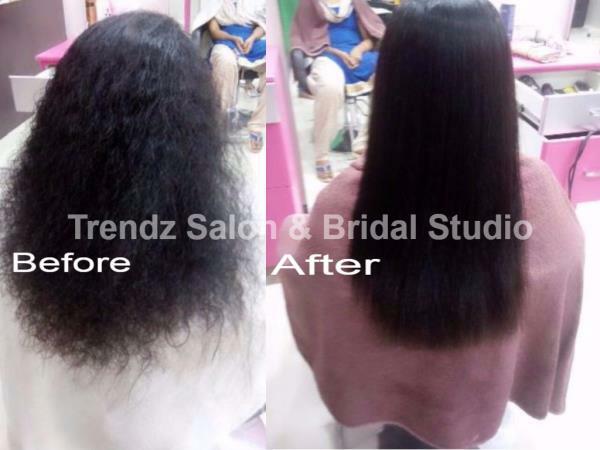 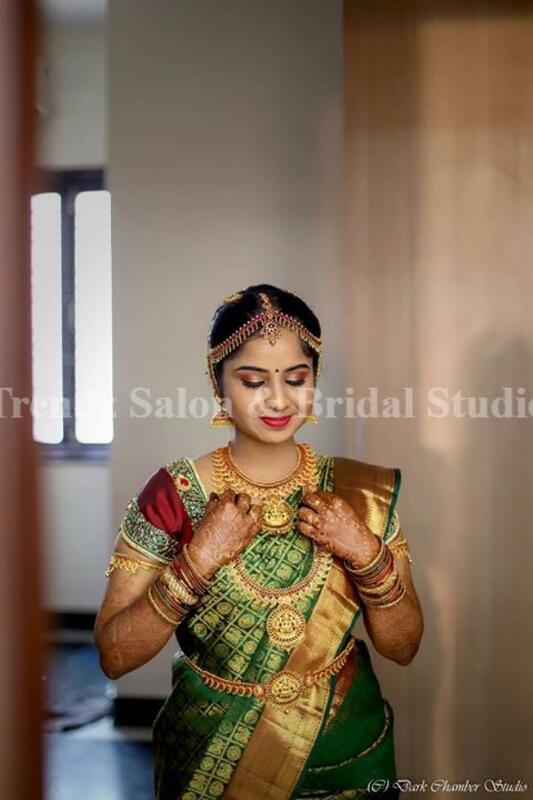 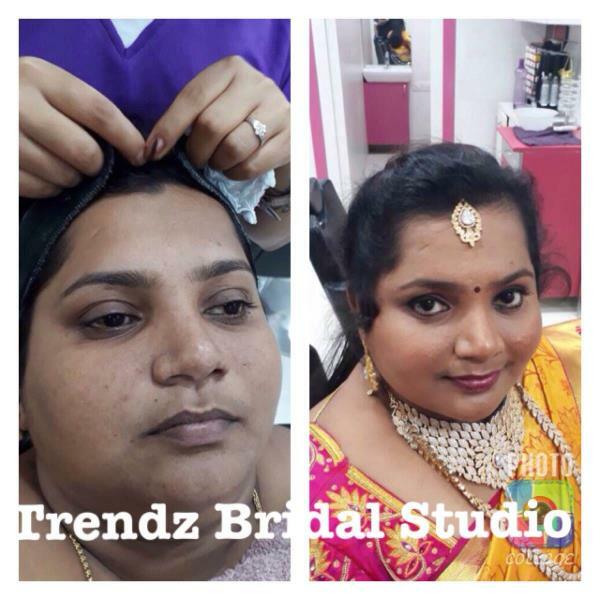 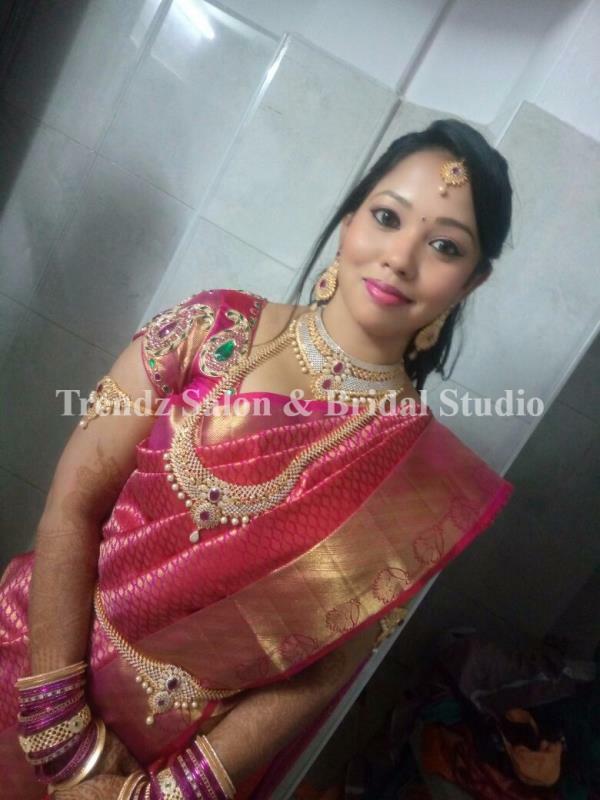 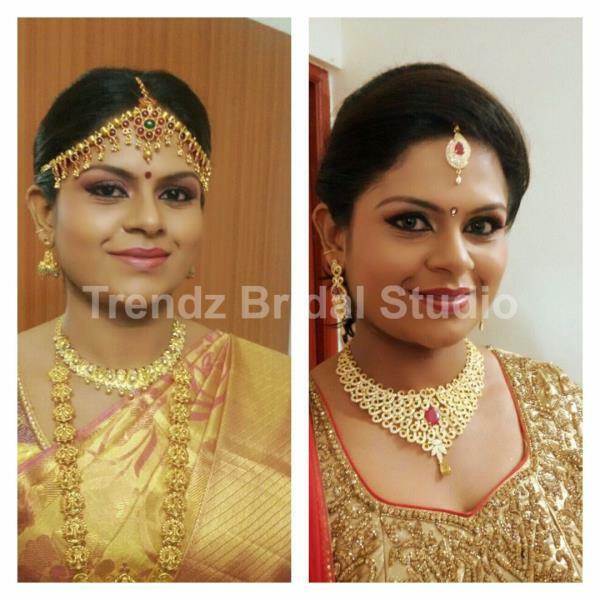 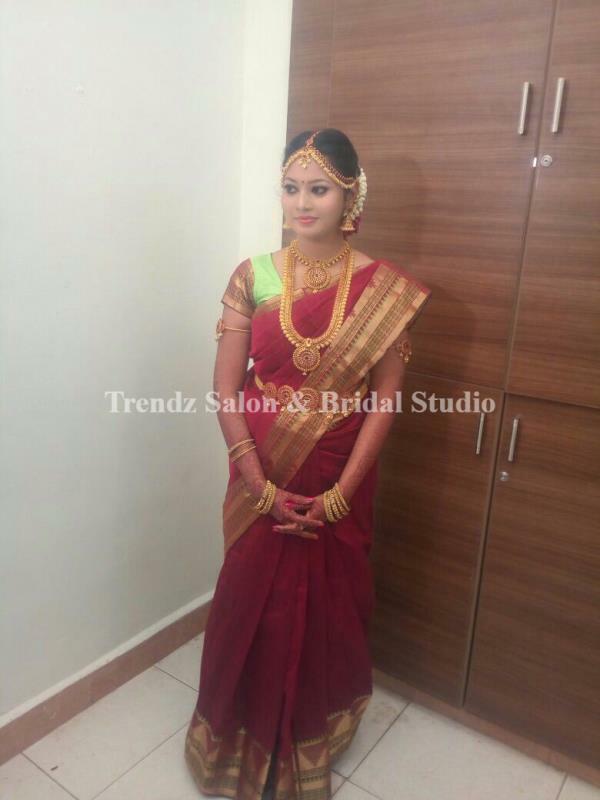 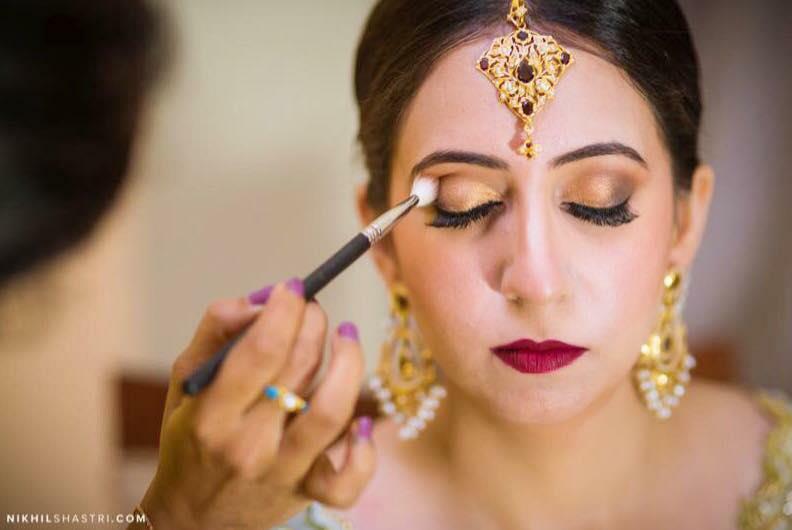 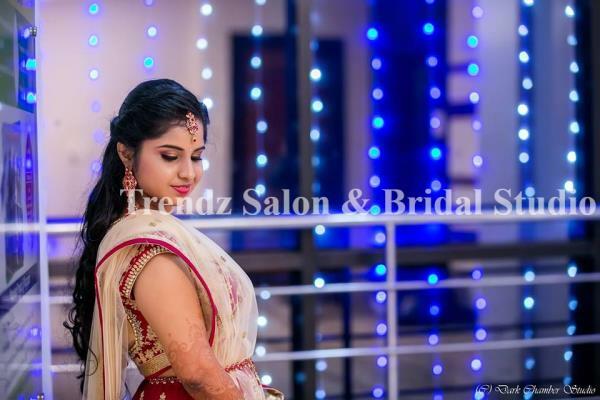 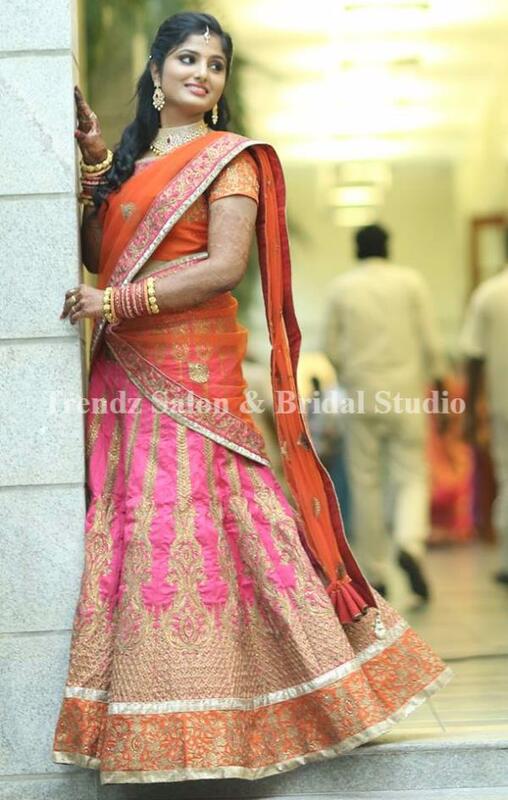 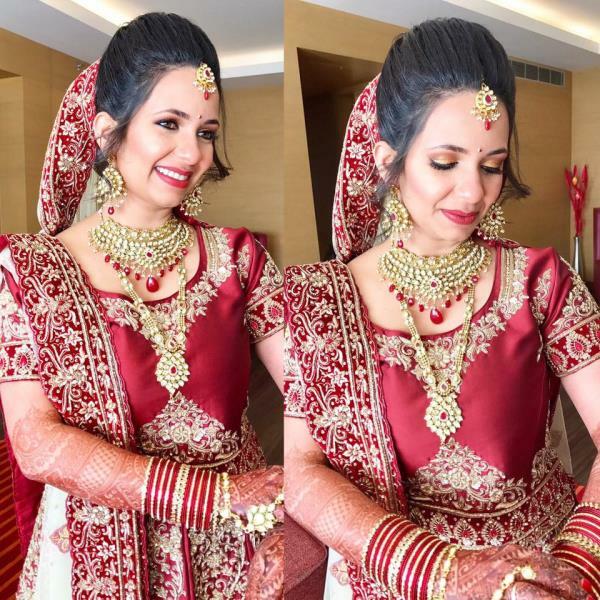 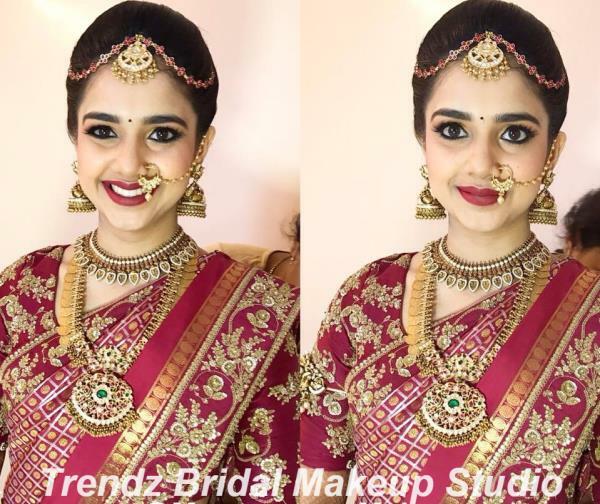 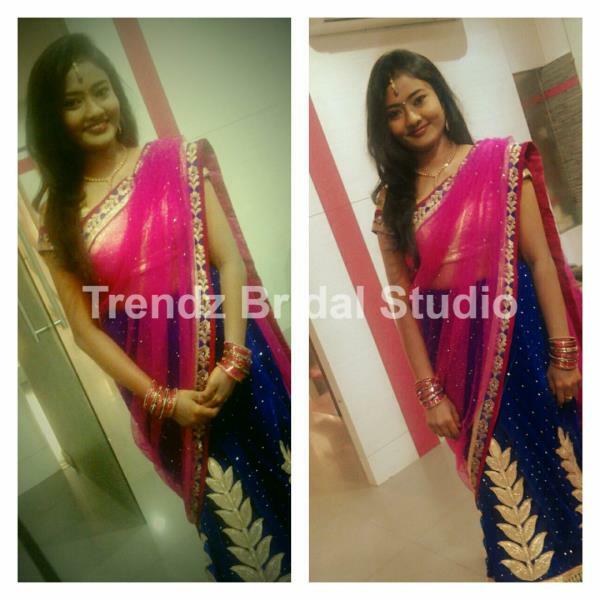 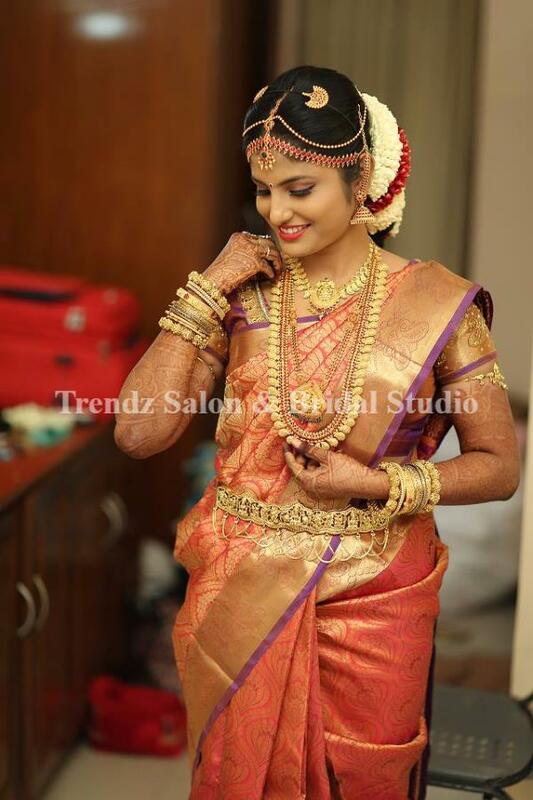 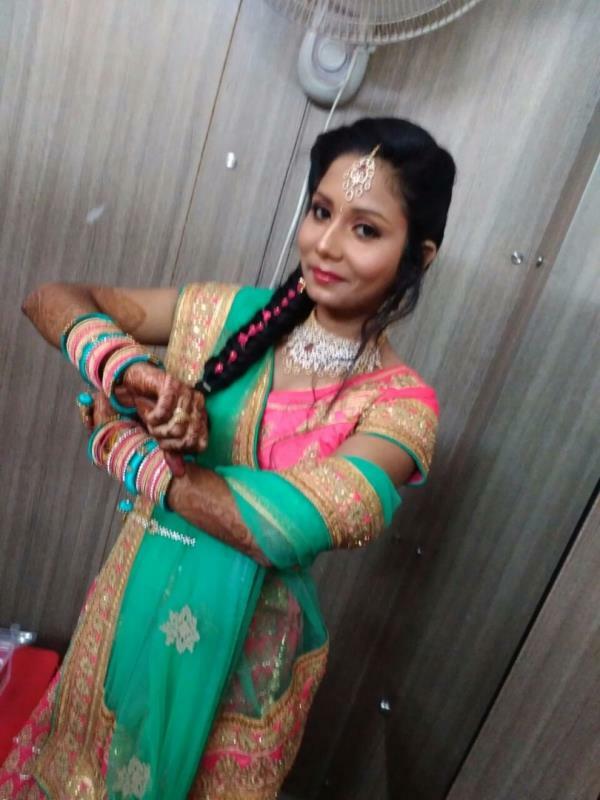 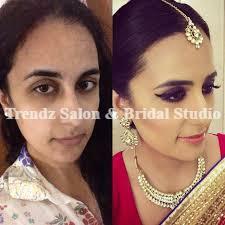 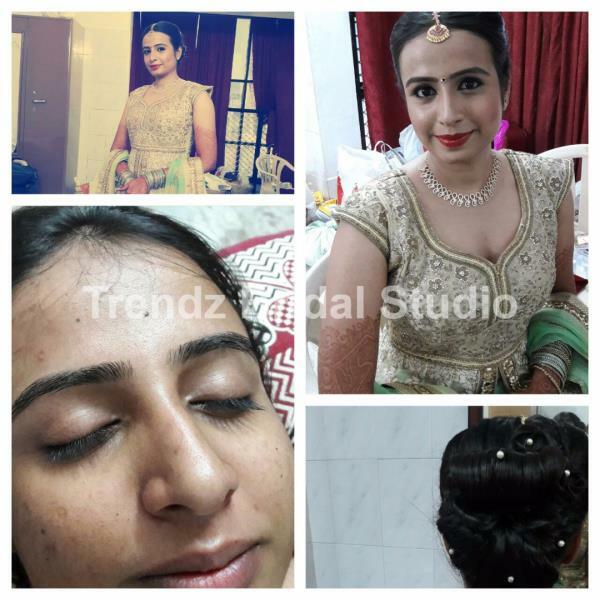 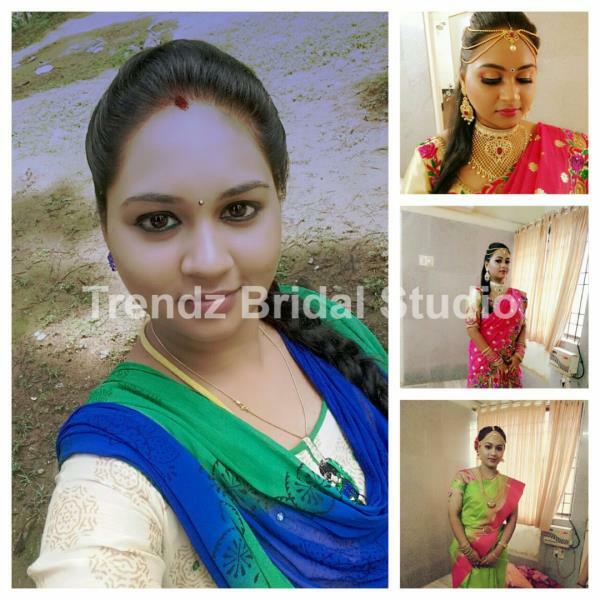 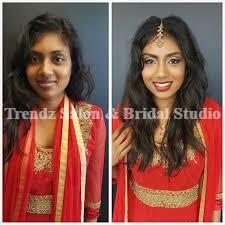 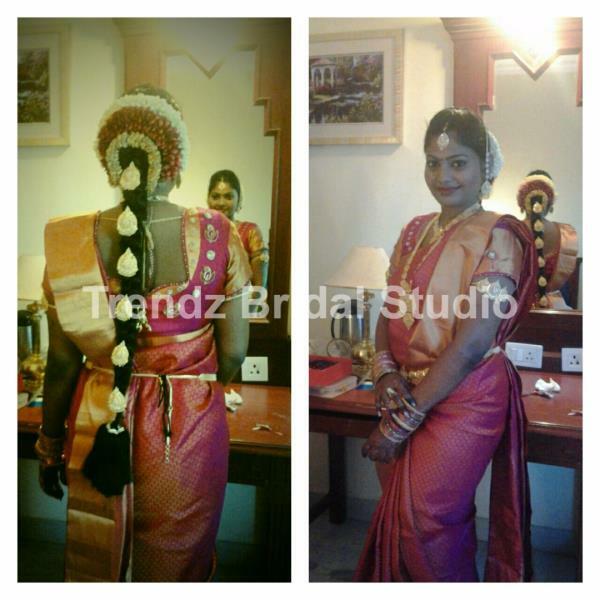 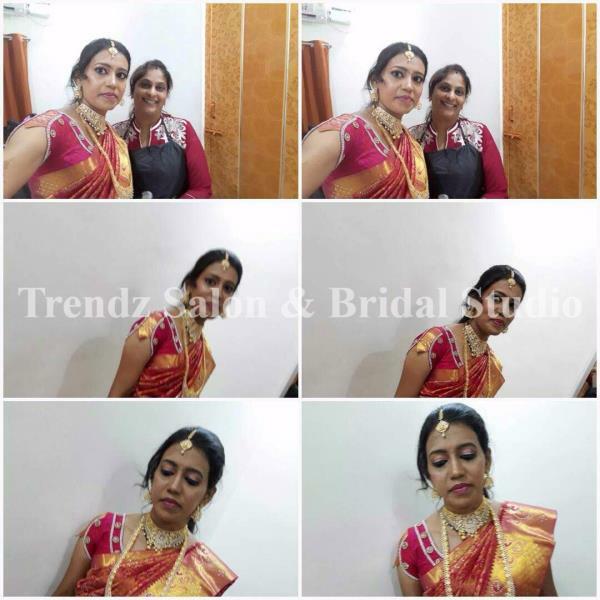 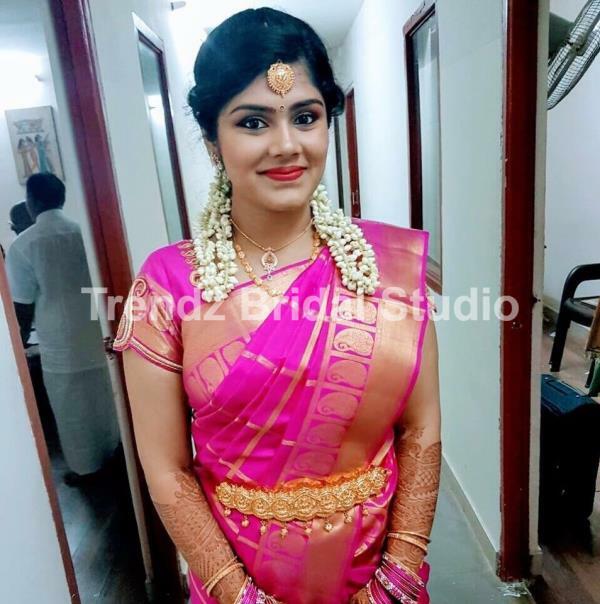 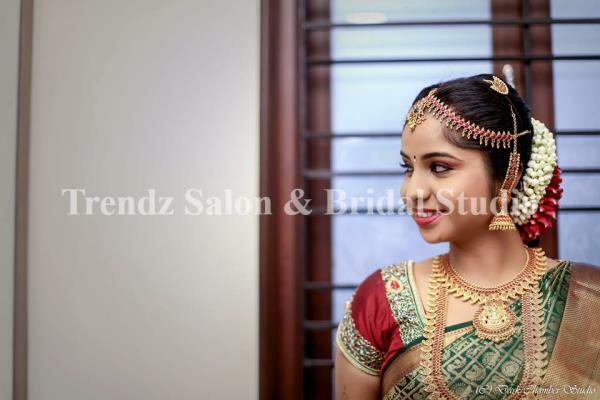 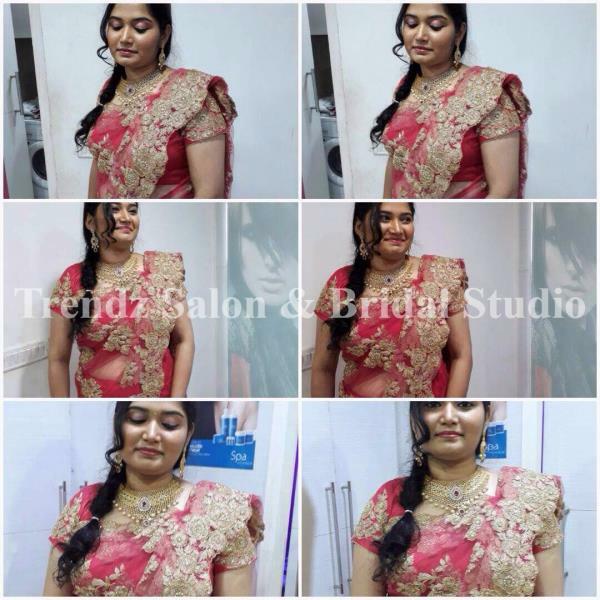 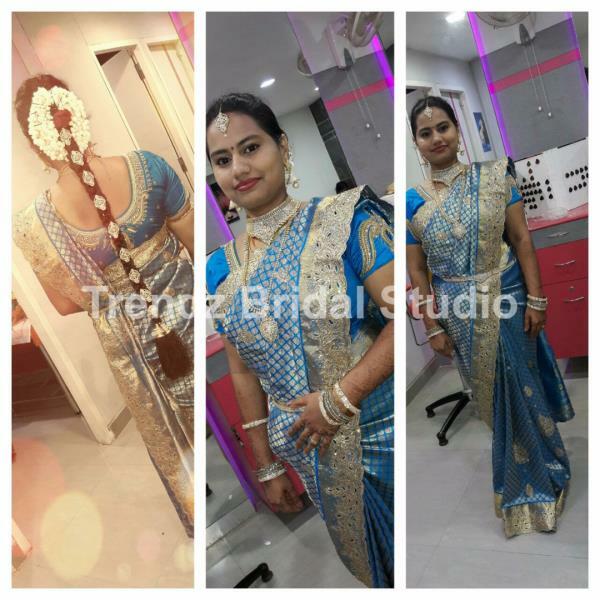 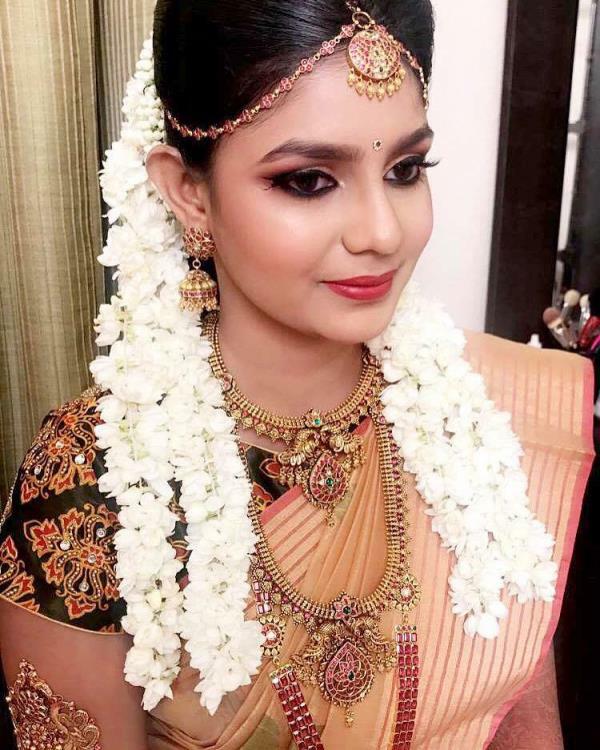 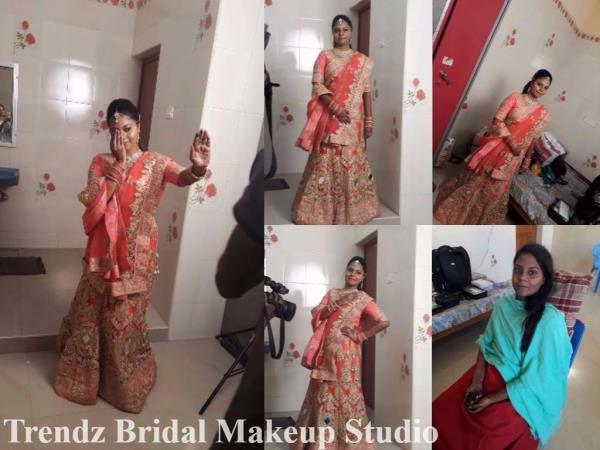 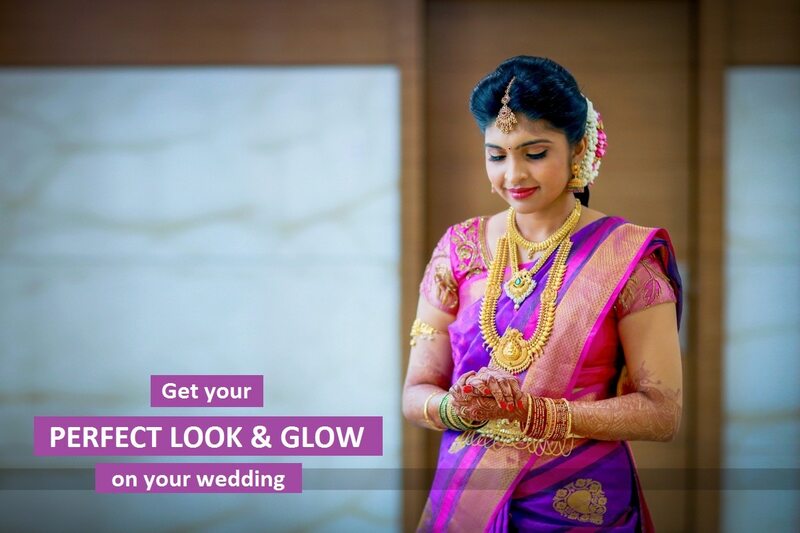 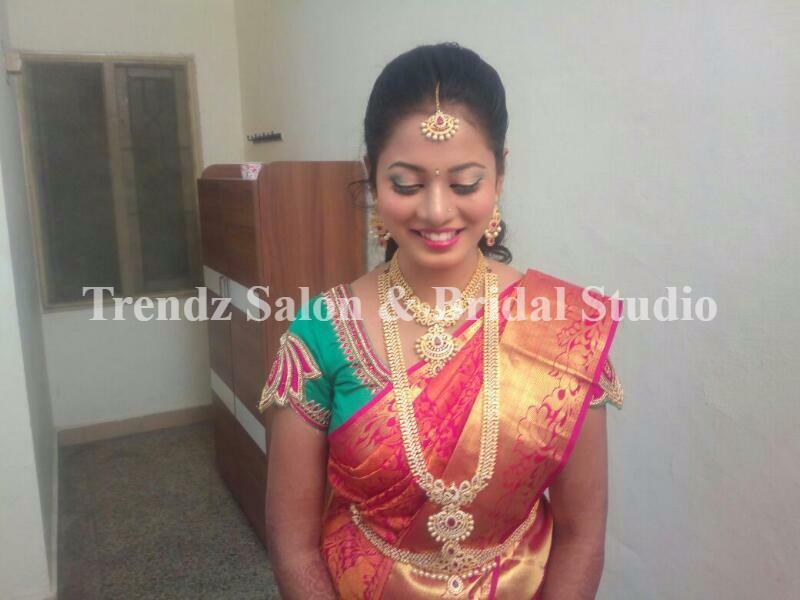 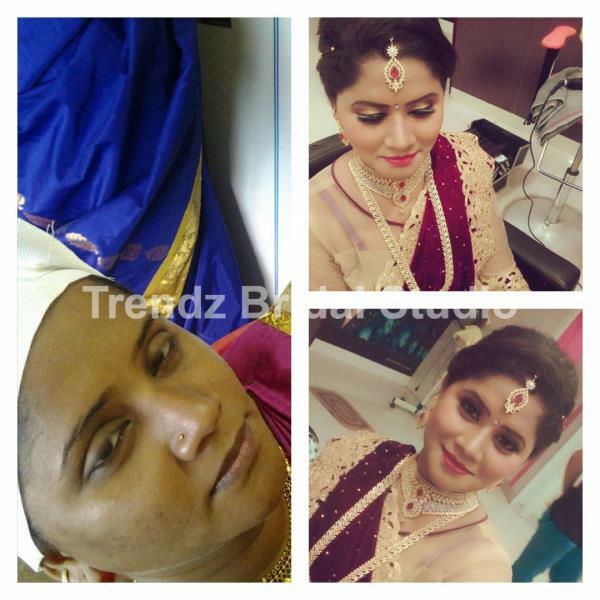 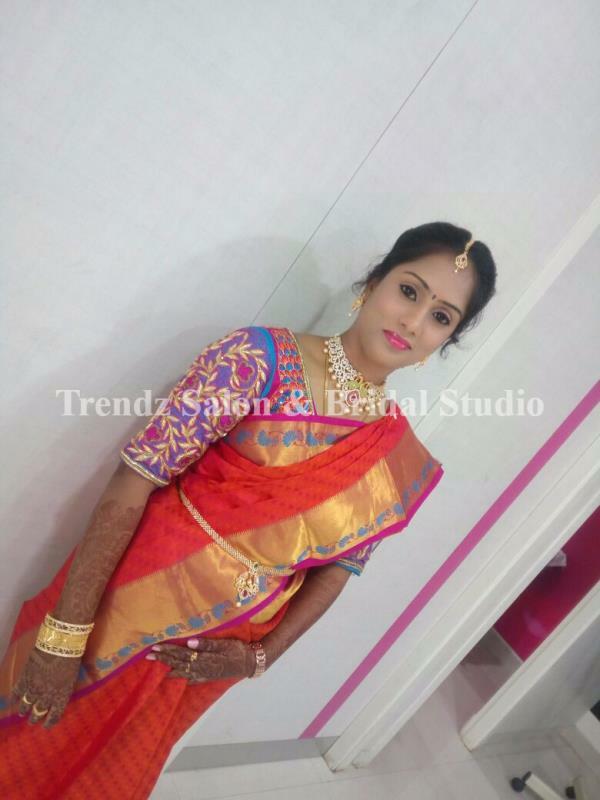 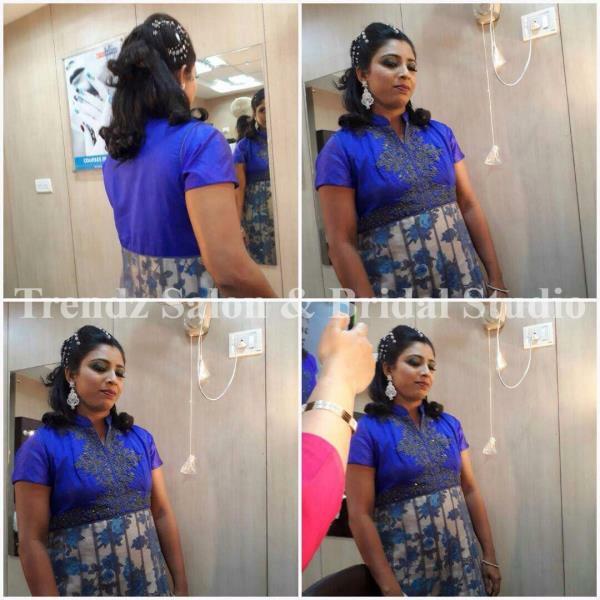 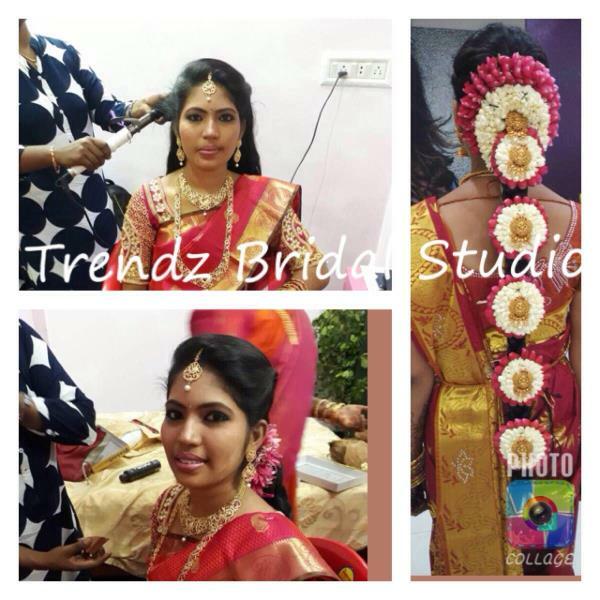 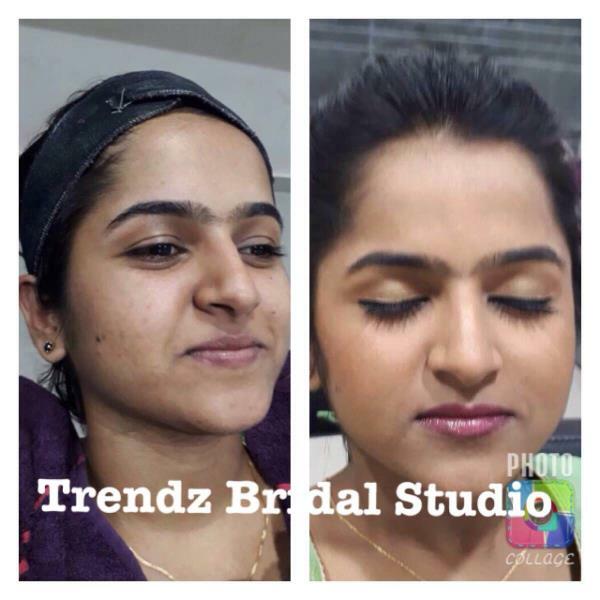 Trendz Bridal Makeup Studio has been Chennai’s most preferred and trusted destination for cutting-edge styling, bridal makeover, hair and skin care, and beauty enhancing treatments. 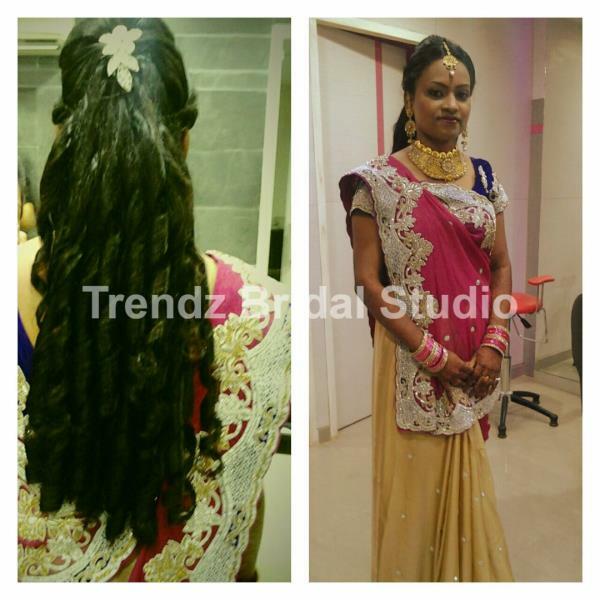 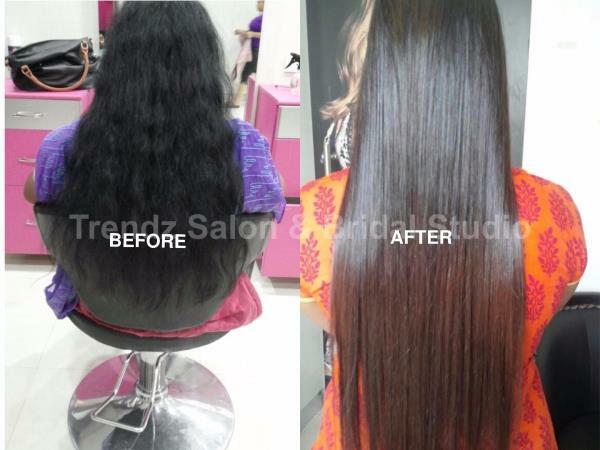 Trendz Institute offers Hair, Beauty and Makeup training for candidates in Hair Sculpture, Long Hair design, Beauty Care, Bridal Make‐up and SPA treatments. 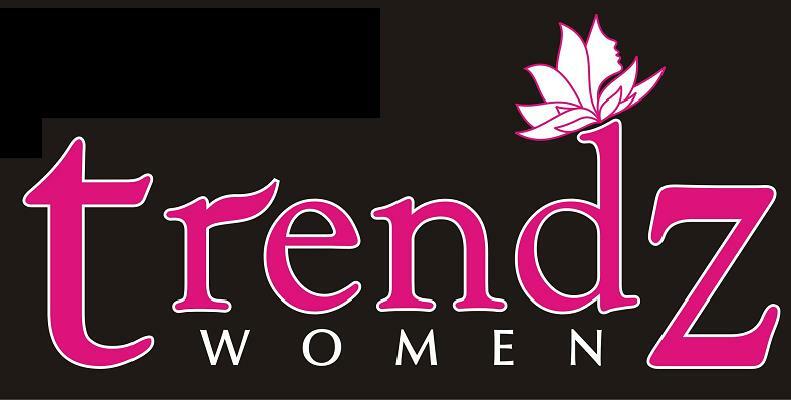 This standardized system offers hands on approach that enables the individual to the progress methodically within the learning experience. 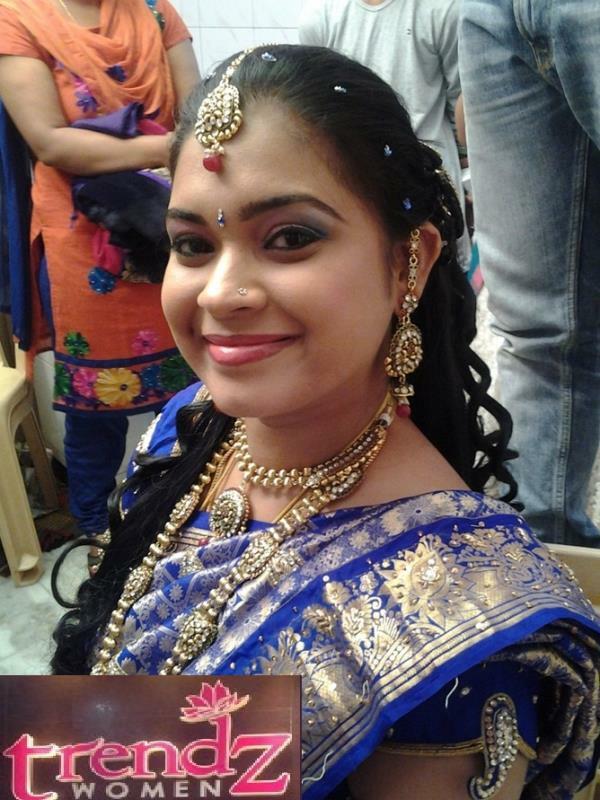 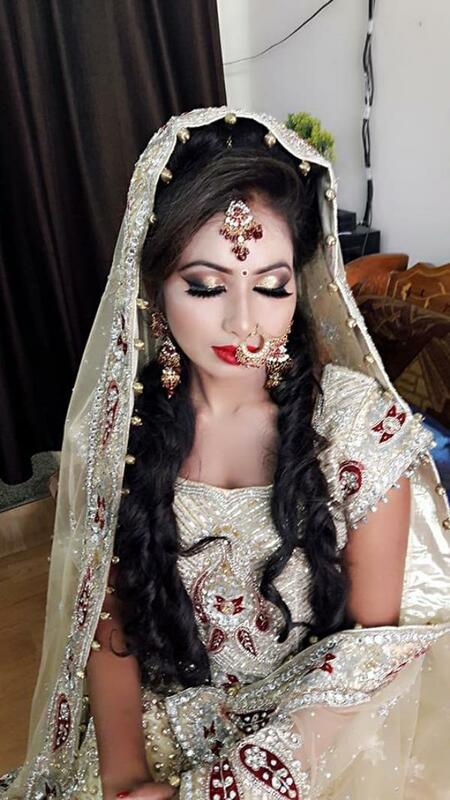 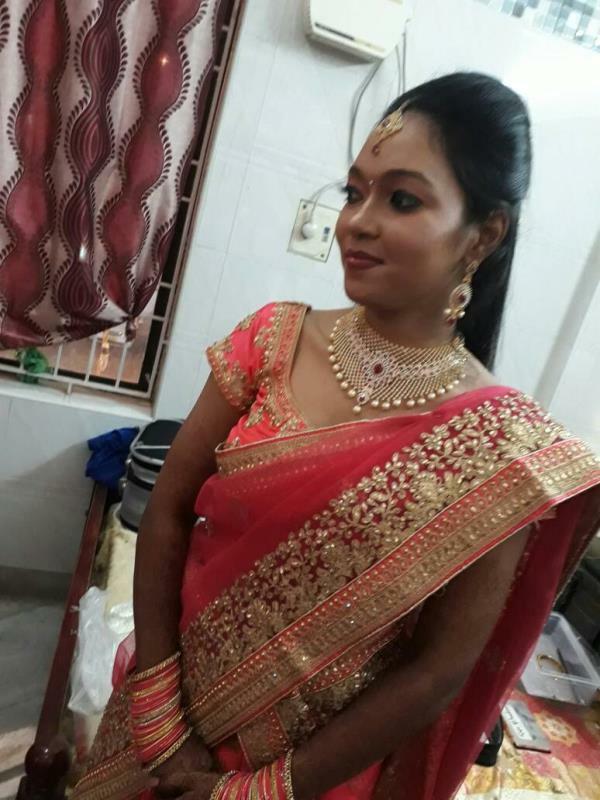 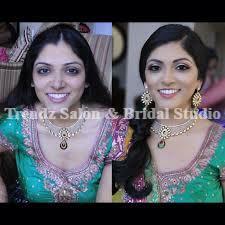 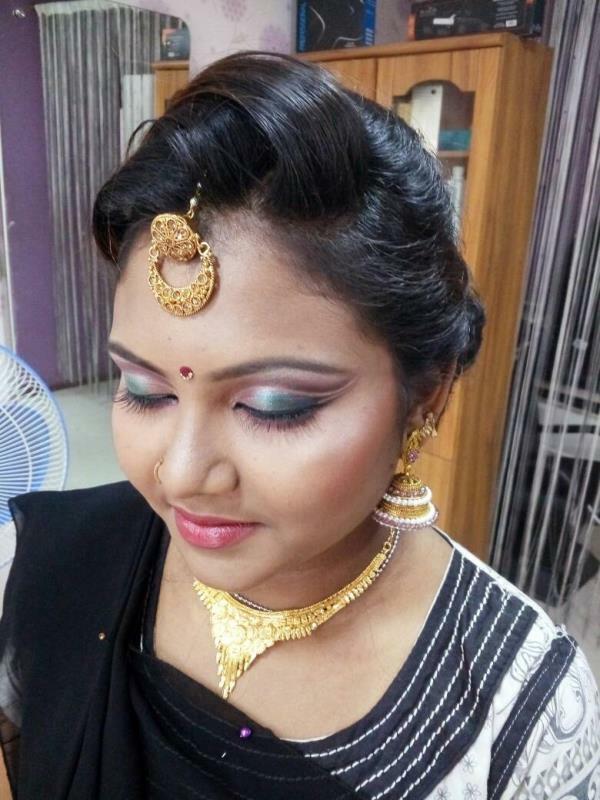 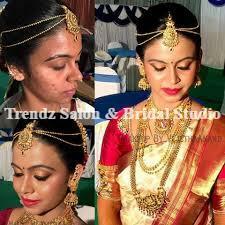 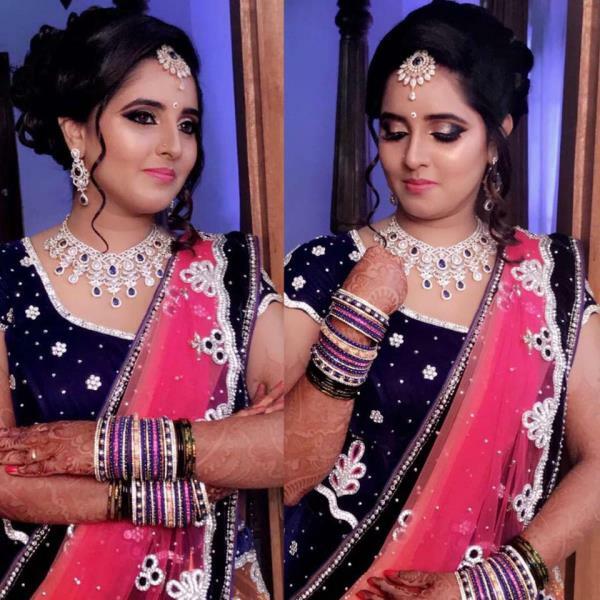 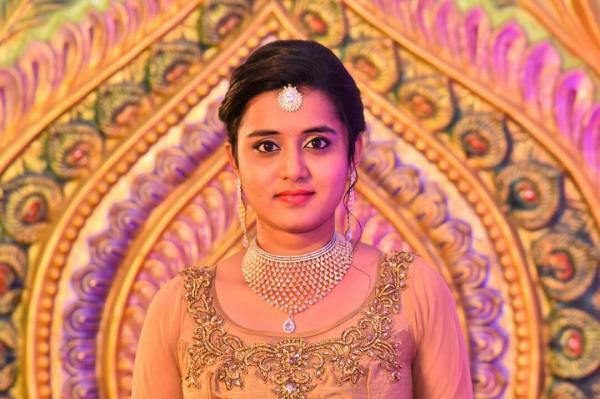 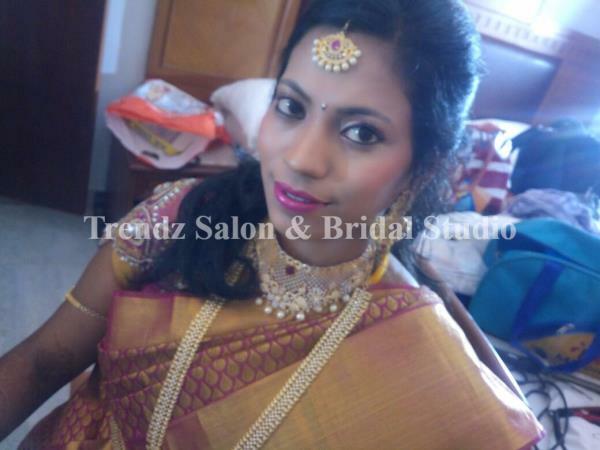 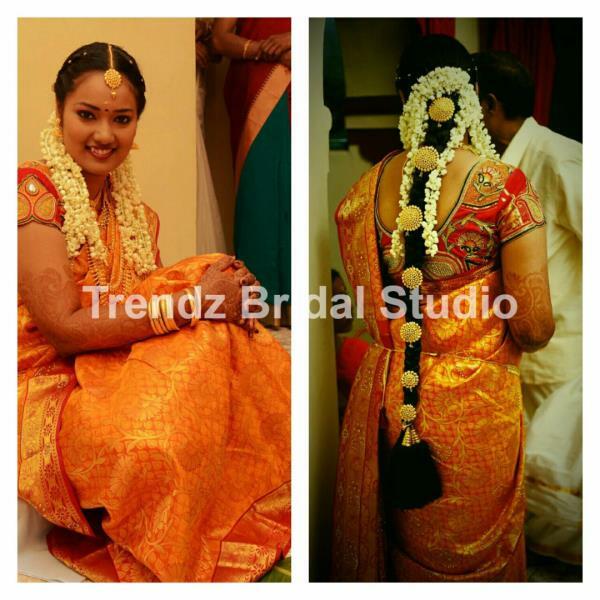 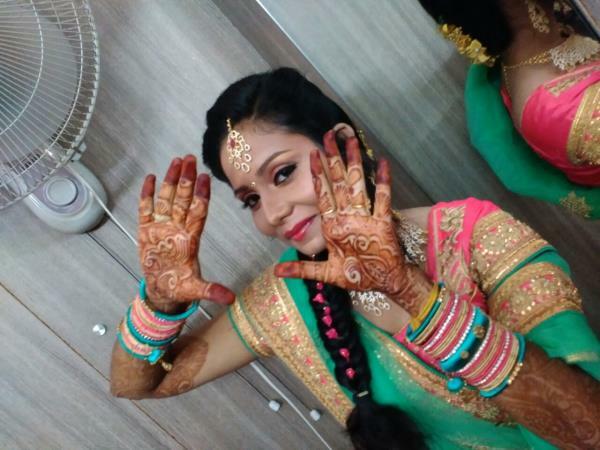 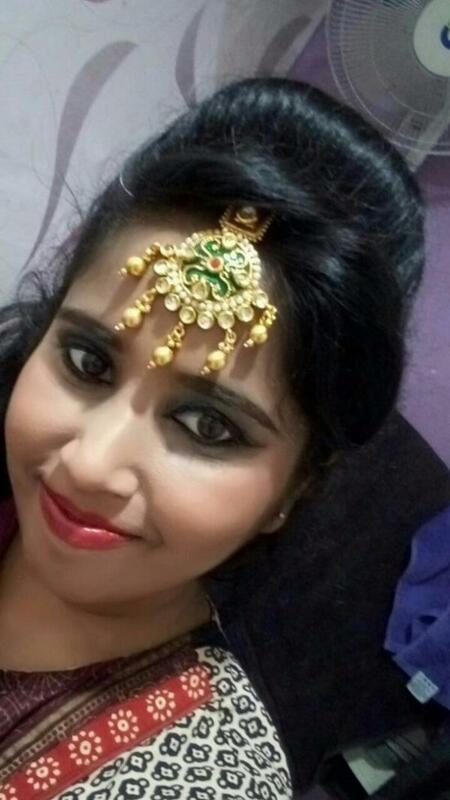 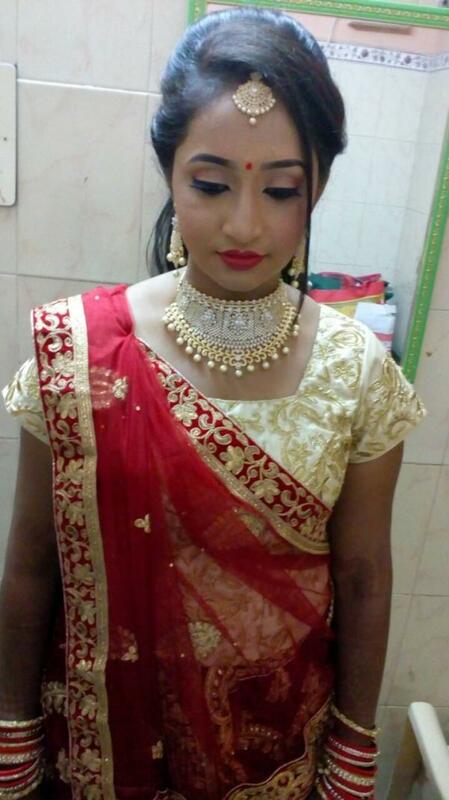 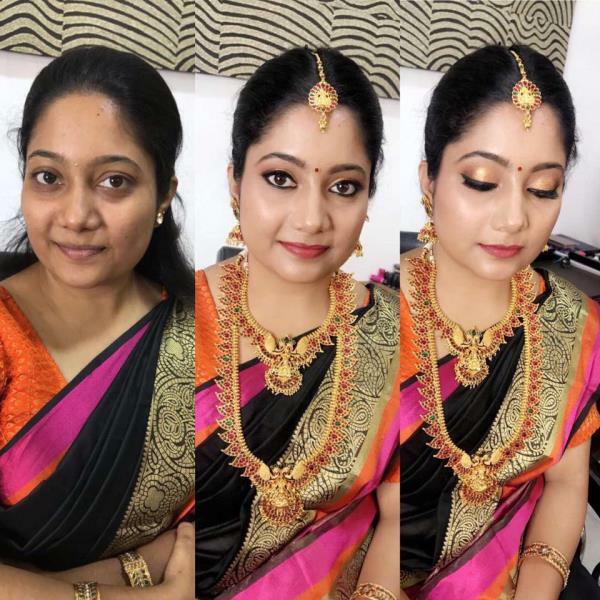 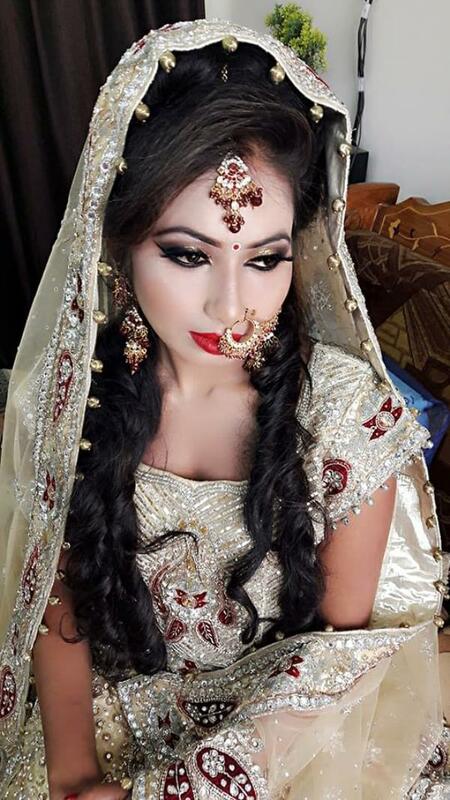 Are you looking for any Bridal makeup Services In Kolathur. 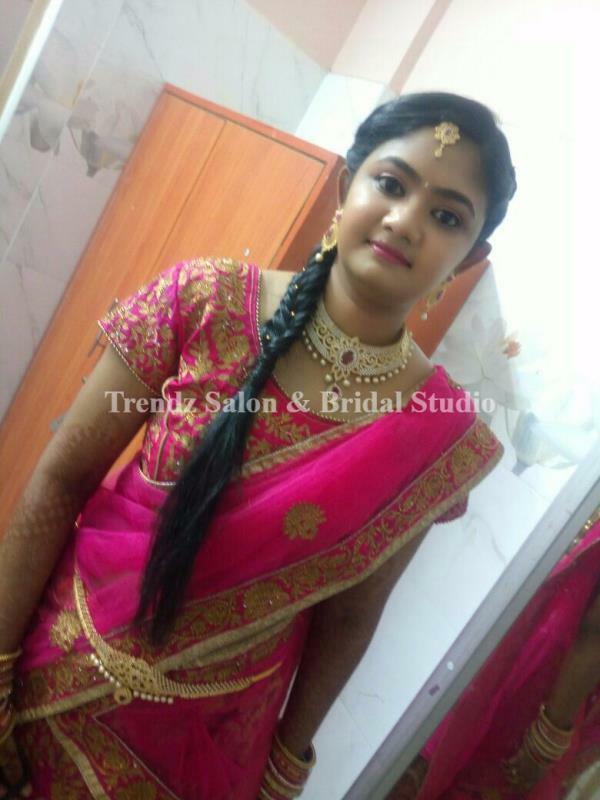 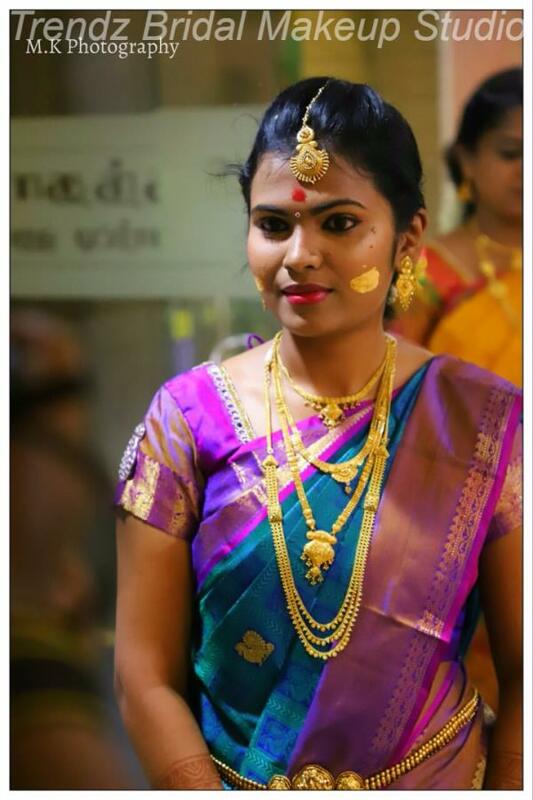 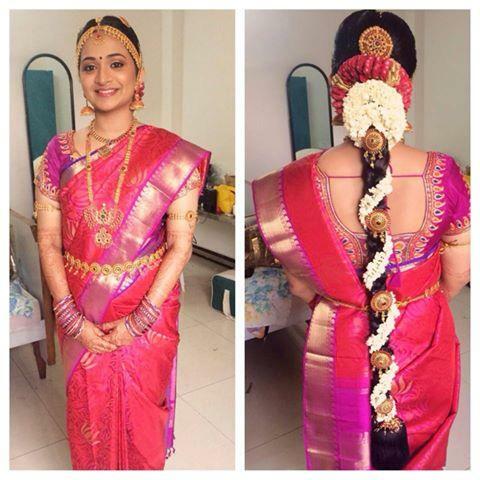 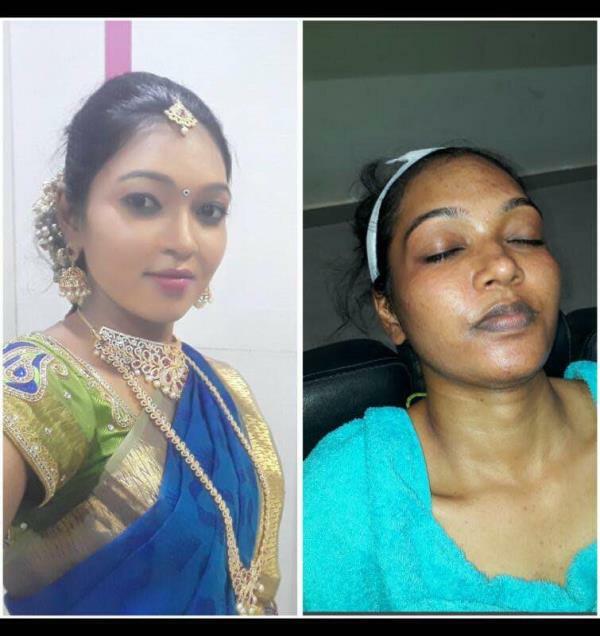 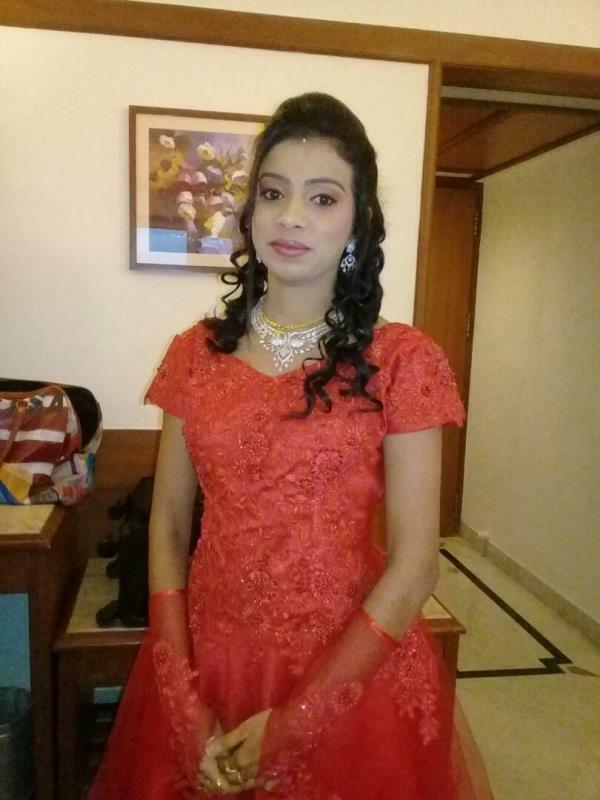 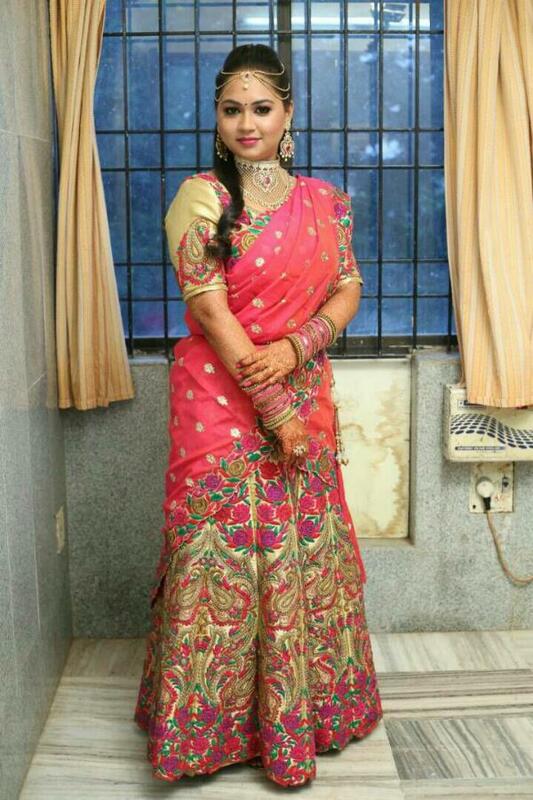 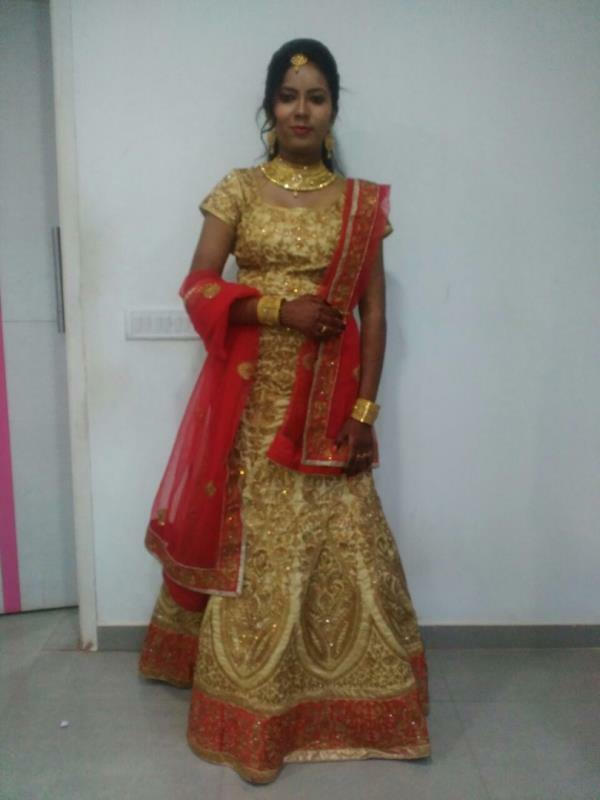 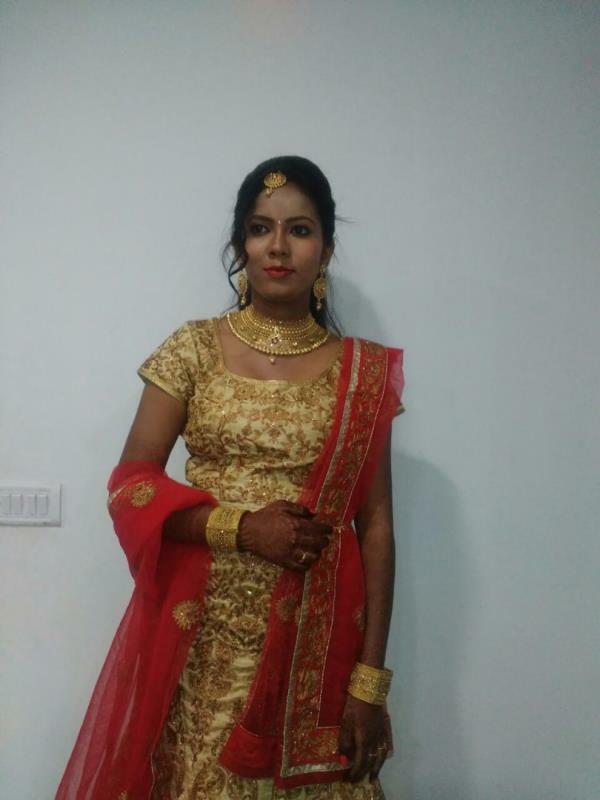 We are one of the Best Bridal Makeup Artist In Kolathur. 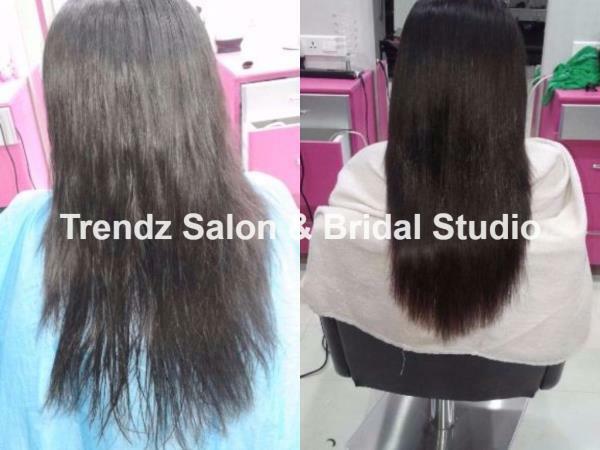 Kindly call us for more information regarding the packages and offers. 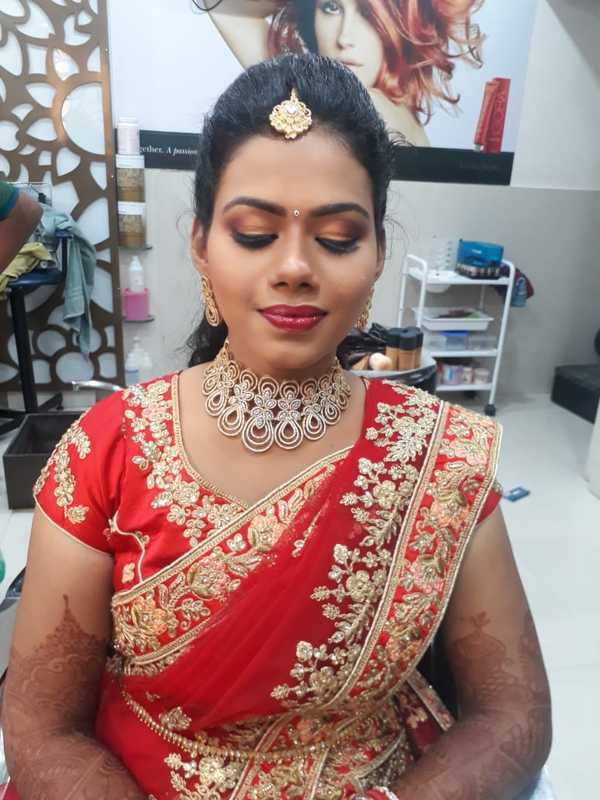 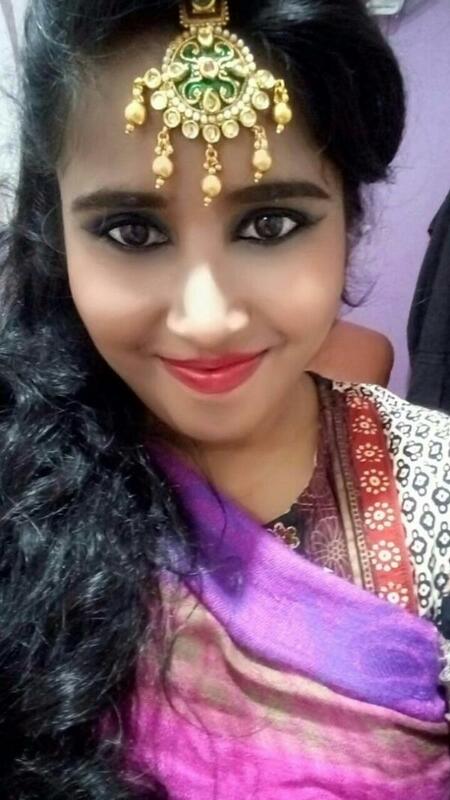 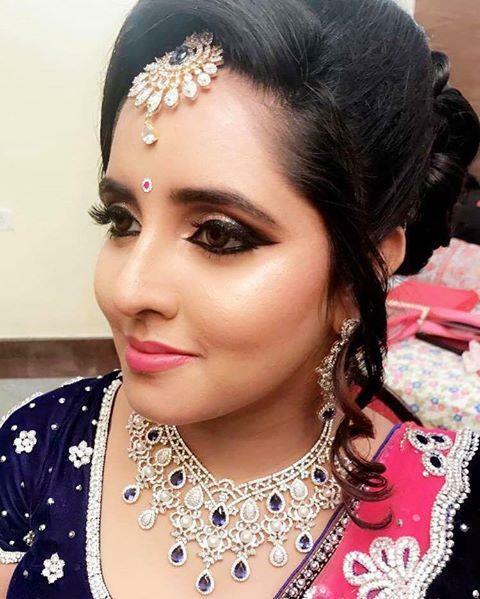 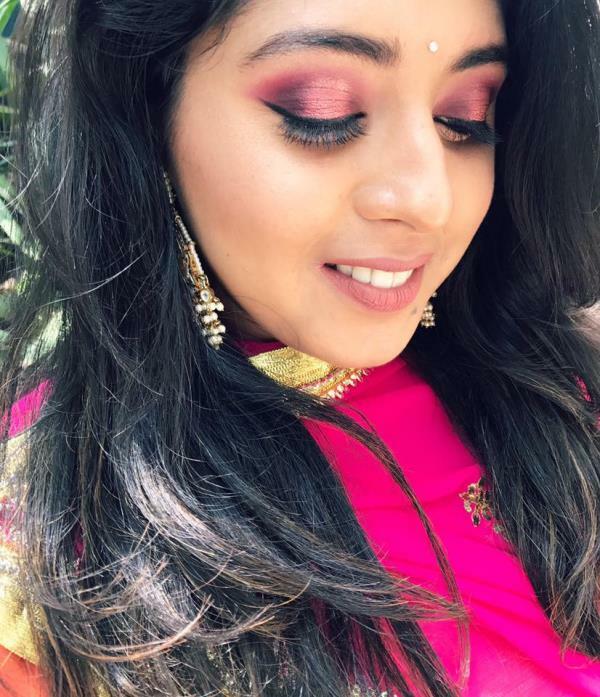 Evening Glam✨ We had so much fun dolling up Krithika for her Sangeet.. Airbrush foundation, champagne smokey eyes paired with a wine lipstick was the look we went for🍇 She looked so elegant and graceful twirling in her lehenga and most definitely was the star of the night!